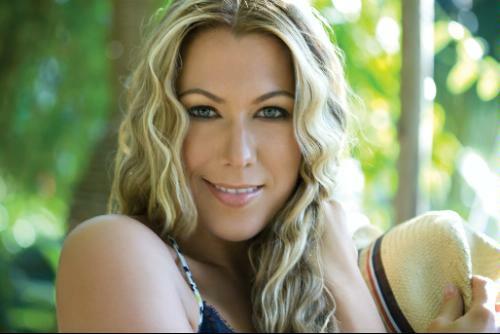 ¶ Colbie Marie Caillat (born May 28, 1985) is an American pop singer-songwriter and guitarist from Malibu, California. She debuted in 2007 with Coco, which included hit singles "Bubbly", "Realize", and "The Little Things". In 2008, she recorded a duet with Jason Mraz, "Lucky", which won a Grammy. Caillat released her second album, Breakthrough, in August 2009. Breakthrough was nominated for Best Pop Vocal Album. ¶ She was also part of the group that won Album of the Year for her background vocals and writing on Swift's Fearless. 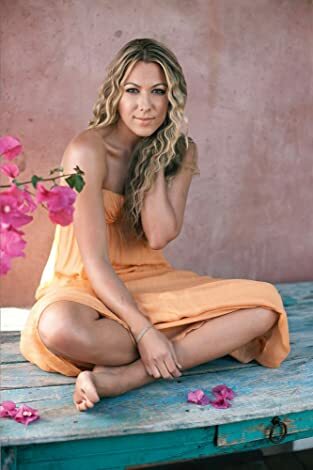 ¶ Armed simply with her dusky vocals and acoustic guitar, Colbie Caillat and her homespun music continue to resonate with listeners and win new fans. Little more than a year after the release of her nearly double platinum debut album “CoCo,” Caillat has so quickly made such an enduring impact that USA Today declared the California girl a vital part of “a new wave of troubadours luring fans of all ages into a peaceful, easy feeling.” The national newspaper puts her in the company of other platinum plus artists like Sara Bareilles, Caillat’s musical hero Jack Johnson, and her good friend and duet partner, Jason Mraz. ¶ Plus, “CoCo –Deluxe Edition” features two very special collaborations: Marley’s legendary backing band, The Wailers, duet with Caillat on a lilting, reggae remake of the Dusty Springfield classic “Brand New Me,” and Colombian superstar Juanes joins Caillat on her remake of his gorgeous “Hoy Me Voy.” For Caillat, a lifelong Marley fan, recording the Dusty Springfield song “Brand New Me” with The Wailers was a dream come true. ¶ Fans who already own “CoCo” can download the new material on iTunes. ¶ She is one of the brightest new artists to emerge in the last few years and the first true myspace.com discovery. 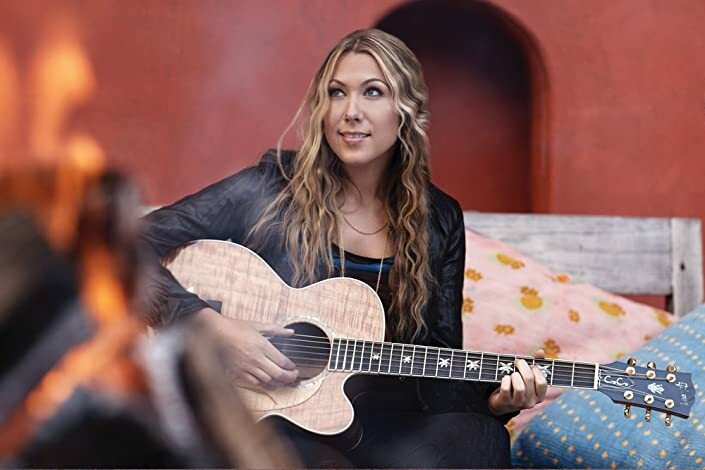 ¶ With no marketing push and only the power of the music behind her, Caillat became a sensation on the social networking site starting in 2006 when, upon the advice of friends, she began uploading her songs to her page. ¶ “CoCo” debuted at No. 5 on Billboard’s Top 200 albums chart and remained in the top 20 of the chart more than half a year after the CD’s release. “Bubbly” spent a staggering 14 weeks at No. 1 on Billboard’s Adult Top 40 chart and four weeks atop the Adult Contemporary chart. “Bubbly” has also been certified platinum; signaling sales of more than 2.6 million downloads. Second single “Realize,” about a friend, who was secretly in love with Caillat, was also a huge hit. And the third is proving to be the charm as “Little Things” is following the path of its predecessors. ¶ Since the album’s debut, Caillat has been a constant fixture on the road in the U.S., Europe, Australia and Asia. She’s alternated between headlining her own sold-out concerts and opening for such artists as John Mayer, one of her major influences. ¶ I still incorporate all the styles that I love that were on Breakthrough and Coco, but it's a new chapter,” she said in a Billboard interview. “I’ve experienced more and I've written with new songwriters who are really talented, but it’s still my same music and feel and sound. The songs are more up-tempo on this record, and it's like a full-on summer album.” Caillat began recording All of You last summer in California and finished up the album between tour dates last fall. The first single, "I Do," debuted at number twenty-three on the Billboard Hot 100 in February and has since sold 154,000 copies, according to Nielsen SoundScan. Meanwhile, Caillat is excited to unveil the new track "Favorite Song," a guitar-driven pop collaboration with Common in which Caillat croons between the rapper's slick verses. "I've loved Common's music for years," Caillat says of the unlikely pairing, which was put into motion when the two artists met each other at an event for the Grammys in 2009. "He ended up singing his song 'The Light,' and he needed a girl singer [for the chorus] and I was like, 'I know it!' Afterward he was like, "I love your song and I love your voice.' It took about a year for us to get something together, but it worked out better than we could have imagined." Bill Lamb wrote for About.com positively that the song "is bright, summery, and it is utterly charming". 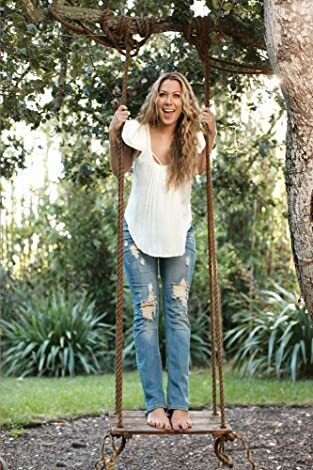 Caillat penned two album tracks with pop songwriter Ryan Tedder (Kelly Clarkson, Beyonce, Leona Lewis), while Toby Gad, Jason Reeves and Rick Nowels all have writing credits on "All of You." Meanwhile, Caillat's boyfriend, musician Justin Young, wrote three songs on the album with the singer, an experience she calls "so much fun. I've never been interested in musicians before, and now having a boyfriend that plays amazing guitar and piano and has a beautiful voice… it's cheesy but it's awesome, because we write these songs about our relationship and it brought us closer together."